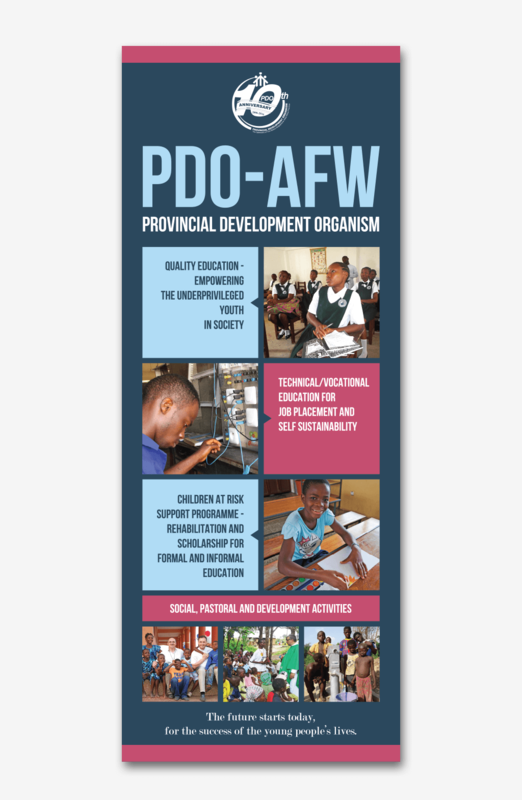 The Provincial Development Organism which belongs to the Salesians of Don Bosco Anglophone West Africa commissioned us to design a roll-up for its offices in Ghana, focusing on its three pillars of work: education, technical skills and children at risk. The result is a balanced design, aesthetically pleasing and easy to read. 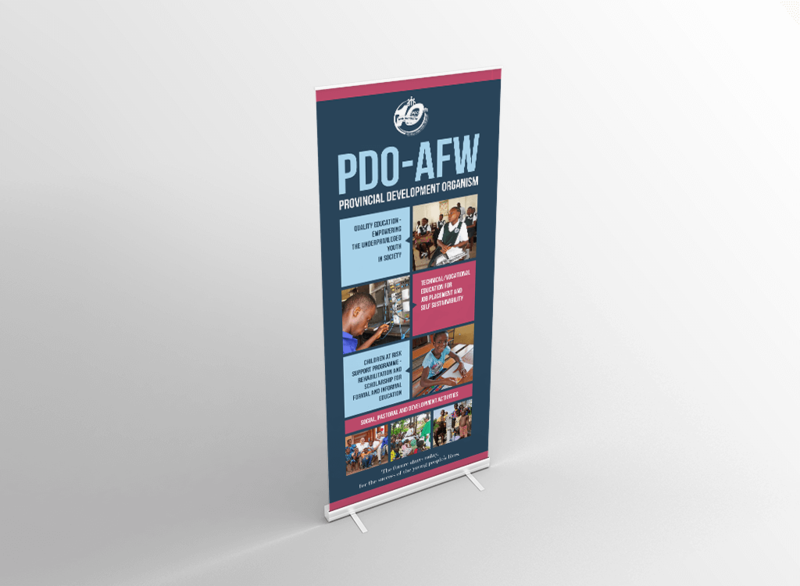 The images give the roll-up a special value, as well as the dark-pink blue colors, which contrast with the rest of the composition. The only difficulty we encountered was the choice of images since the number of photographs available was very large.